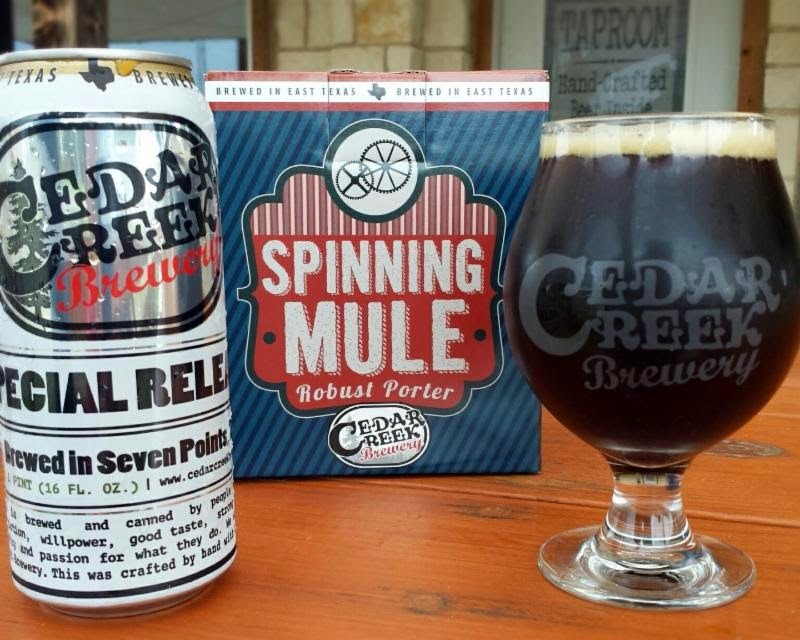 The Cedar Creek Brewery out of Seven Points has unveiled the newest beer in their Special Release series, a coffee chocolate porter they're calling Spinning Mule. Regarding the name, a spinning mule was a machine used to spin cotton, invented in 1779. Texas, of course, produces more cotton than any other state in the country. So, how does relate to this particular beer? The porter style, which originated in london during the 1700s, was the favored drink of street porters and other physical laborers. In other words, it's traditionally been looked upon as a working man's beer. Take that inspiration and apply it to one of our state's largest industries and you've got Spinning Mule, which is a nod to the Texas working man. As for the beer, it's a robust porter brewed with cacao nibs and locally-roasted beans from Buna Bean Coffee in Ennis. Head Brewer Damon Lewis says that while the base beer is the star of the show, the complimentary ingredients give the brew "a nice chocolate presence upfront with a strong coffee finish." It's full-flavored, but the goal was to maintain balance and drinkablity. "That's kind of our thing," Lewis explains, "really drinkable beer that makes you want more than one." Look for Spinning Mule to be available for a limited time on draft and in 4-packs of 16-ounce cans beginning the week of May 19.